Agent Hopps is here and reporting for duty! Chief Bogo thinks that passing out parking tickets is all this little bunny is capable of, but your little one will surely prove him wrong. When your child wears this officially licensed Judy Hopps bowler hat, she will transform into Disney's newest breakout character. She can put down her meter reading device and uncover Zootopia's biggest conspiracy, because she is more than a cute rookie cop from a carrot farm! 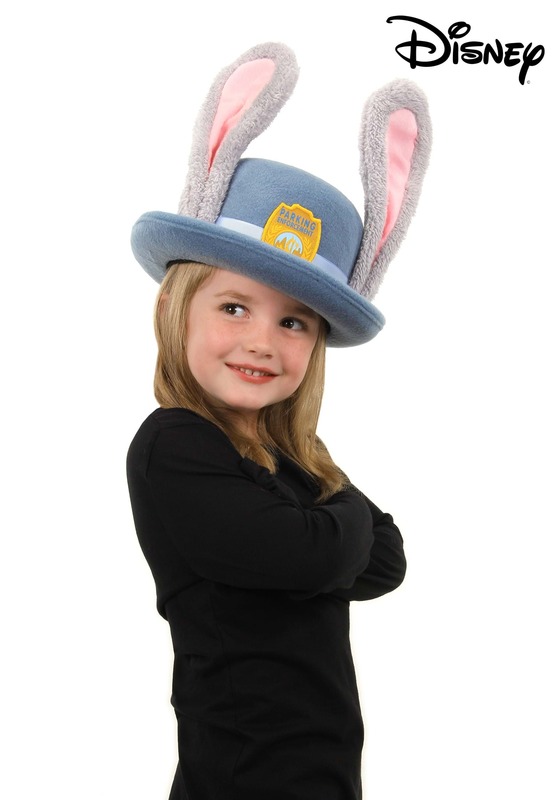 With its white ribbon and badge on the front, this Disney Zootopia Judy Hopps Child Bowler Hat has big bunny ears like your kid’s favorite Zootopia character. Judy Hopps is the most determined bunny to come out of Bunnyborro--but your child also has a big drive all her own. Looks like there is no case that will prove too big for her to solve in this hat...so she had better hop to it!